Enhanced navigation, easy-to-read parts illustrations and a fresh new look make finding and ordering RIDGID parts easier than ever. RIDGID® power tools are designed with one purpose... maximum uptime. Get peace of mind by registering eligible tools to take advantage of the industry's only lifetime service agreement. RIDGID® outdoor power equipment delivers power and performance where and when you need it. Our main homepage is your place for new products, promotions and support. Ready. Set. Gear Up. Shop clothing, accessories and store merchandising. We build tools to last a lifetime, and we back them with industry-leading warranties and support. RIDGID Customer Service is ready to serve you 24/7 with product and field support. RIDGID products are designed and built to the highest quality standards to perform specific tasks with optimum and lasting efficiency. 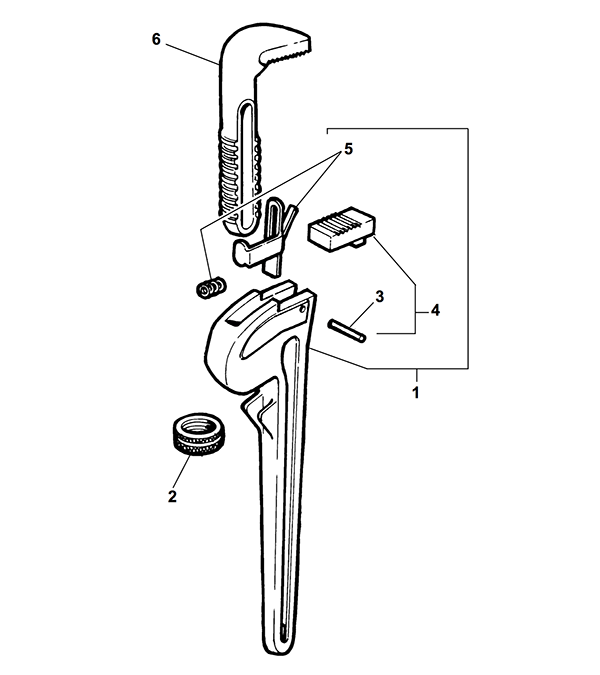 Tool components are made to complement each other to form an ideally functioning “system”. To preserve the high standards of performance you expect from RIDGID tools, it is important to make sure you use RIDGID replacement parts. Look for and insist on Genuine RIDGID Replacement Parts. It is your best assurance of performance, efficiency and long service life. Using this site, you have 24/7 access to Genuine RIDGID Replacement Parts.